When it comes to being an artist, many millennial sacrifices are made. And if there’s one artist that has truly made the sacrifices and life-changes one has to make to reach a remarkable feat in the world of music, it’s young on-the-rise Opera singer Dian Rene. Someone that has moved mountains in his life to get to where he currently is. Rene grew up in the Cuban city of Holguín and began singing at a very young age. He studied opera at The University of Arts of Cuba’s Instituto Superior de Arts, where he received his bachelor’s degree in 2013. He studied opera because classical music was all that was offered at the university, but Rene quickly found his passion for it. He also sang popular music to make a living. that opera isn’t as popular in Cuba as it is in the U.S.
That’s when Rene and his sister decided to come to the states and make his dreams of being a full time singer in the U.S. market a reality. But it was no easy task. After being subject to hazardous jungle environments, detainment in Mexico and literally singing his way to freedom to the guards that had him and his sister held in a prison area, the siblings made a safe cross over the US border into Texas, eventually settling in Harrisonburg. After tackling the Opera genre since he began hitting the ground running in the music realm, as of October 19th Dian Rene made another crossover, this time into the Latin Urban genre, where he can showcase his vocal versatility and multifaceted musicianship more exclusively within his craft and passion for music. He released his first US single and is currently working on new material to solidify his signature sound and become a household name in the US market. With endless possibilities ahead of him within his talent, vocal range, image and artistic merit, Rene is comfortably settled in the US and heading forward with his career in his designated market. Jazzy, swingin’, and a writing formula that really adds appeal to the grooves, whole-band melodies that follow the vocal structures, and the bossa-nova textures that makes Maribel Hill‘s LP, The Unveiling, one of the most refreshening artists you’ll come by is not only an astonishing group that is very jammy and free spirited, but beautifully structured as well with a formula that is traditional, but modernized as well. With the LP-title opening track “The Unveiling”, we get the perfect demonstration of this formula; a fantastic introduction into the aura that does justice to the song/album title. We are thrusted into adventurous musicianship that showcases the soothing mid-range vocals from Hill along with the band’s punctuality and precision that often follows her vocals in unison completely, syllable-by-syllable, which puts jazz songwriting techniques to a level you’ve never quite heard. Its versatility is relentless, and the likability factors are endless. With the more uptempo track, “Sway”, we still enter the same prototype of their Jazz marksmanship and versatility, but explored at different angles. This is another song that does justice to the title completely. A track that shares some mood changes, but gets your hips to sway and place some ownership on the dance floor. “Beautiful” is similar to the predecessors; the signature sound is still there, but a whole new showcase is brought to the forefront that encompasses you to hear another side to the moods and jazzy grooves that Hill and her band bring to the table. The musicianship is completely top notch and parallels the production value, as well as the intricacy of the signature sound that Hill offers up with every track. There’s something new, fresh, and multifaceted offered up in every song off The Unveiling. And it’s also an album that ties everything together both musically and lyrically. I can’t express how well put-together these songs are, and the band does a fantastic job of bringing in new additives and elements that are dynamic, soothing, and absolutely refreshing. Maribel Hill completely hits it out of the park with The Unveiling. When it comes to the roots of all music and the theory of instrumental dynamics, there’s no question that Contemporary Jazz recording artists, Kobi Arad Band, keeps it in the swing of things. From lounge-style piano-oriented Jazz structures to a jagged edge that could go off the rails any moment (but never does), we get something nothing short of amazing with Arad‘s sultry and insatiable precision between both the lead instruments, and extra spicey rhythm section. Delving into a bit of Artist history, Kobi Arad is an Israeli-American musician who lives in New York, performs and composes in NYC’s top clubs like Blue Note, Jazz at Lincoln Center and City Winery. 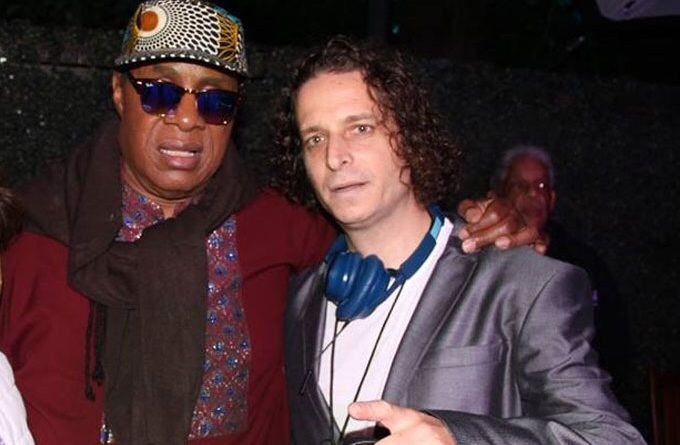 He collaborated with Stevie Wonder (a co-production with Stevie Wonder’s manger, Stephany Andrews and Stevie himself); he finished his Doctorate in music from New England Conservatory; has 20+ self-titled CD’s on Amazon, and participated in different aired panels and interviews on IBA (Israeli national radio). In 2014, Kobi Arad received an award from the Israeli government, noting special excellence in Jazz and creative improvisation. Recently, Claes Nobel asked Arad to assemble 21 Grammy winners and nominees and produce them in Los Angeles with an African band called Ganda Boys. His song ‘Forever’ just won a Silver Medal for Exceptional Achievement from the Global Music Awards. With achievements that obviously stand out all on their own, and with the many crucial years spent in many different walks of life in the industry on many levels, it’s no surprise that an Artist like Arad can turn some heads with his precision-driven stage show and persona as a performing and recording artist collectively. His artistic merit has manifested over many decades and has likely influenced many of today’s other Jazz greats from the NYC scene and its surroundings. Being from NYC ourselves, we always have our ears to the backbeat of New York’s Sub-culture. And one thing that is apparent no matter what venue or artist you’re going to grace, it’s artists like Arad that sustain undeniable proof that NYC has some of the best eclectic talent walking the streets, and captivating the ears of everyone that passes by the venue they may be gracing the stage at. Either way, especially when it comes to Jazz and the influence it has had on so many genres that we even listen to today, artists like Kobi Arad are an absolute breath of fresh air when it comes to keeping the traditional contemporary sound, and peeking through new and bold sound structures that keeps the genre alive and well. It’s not often that I stumble upon an artist and decide to take him under the reviewer’s wing, but we’re gonna change the pace a bit here at the Artist Reach camp. Sensuality, good vibes and a little Rock & Soul might be a few choice words for young and upcoming Artist/Producer Imani WJ Wright. Starting out in the business early, talented and serving as your own Producer is definitely the way to go. That’s why I have to tip my hat to Mr. Wright. His single, “Appreciation”, is a lovingly witty and soul-soothing track that is bound to draw in the ladies at first blush. For a debut single, I’d say he can accomplish just that. This song does one big thing though…it gets you pumped for the prospective future for the young Artist. I wanna hear what else this young man can do. Because he’s absolutely on the right track in every way; music and image alike. If you have appreciation, no pun intended, for an up and comer ready to take sensuality, sexuality, and the heart and soul of music’s passion, Mr. Wright is right up your alley. I hear a man ready to take off and fly. He has his passport, plane ticket, and the jet ready, and this song walks me to the plane. So again, I have to give major props to a young guy giving his heart and soul to true music that definitely won’t shy you away. “Appreciation” is a stunner for its alley of execution, and I’m dying to hear what move this guy makes next musically. I’m jet-ready, let’s get the plane to take off! This single is definitely on the Wright track! Double-pun completely intended. 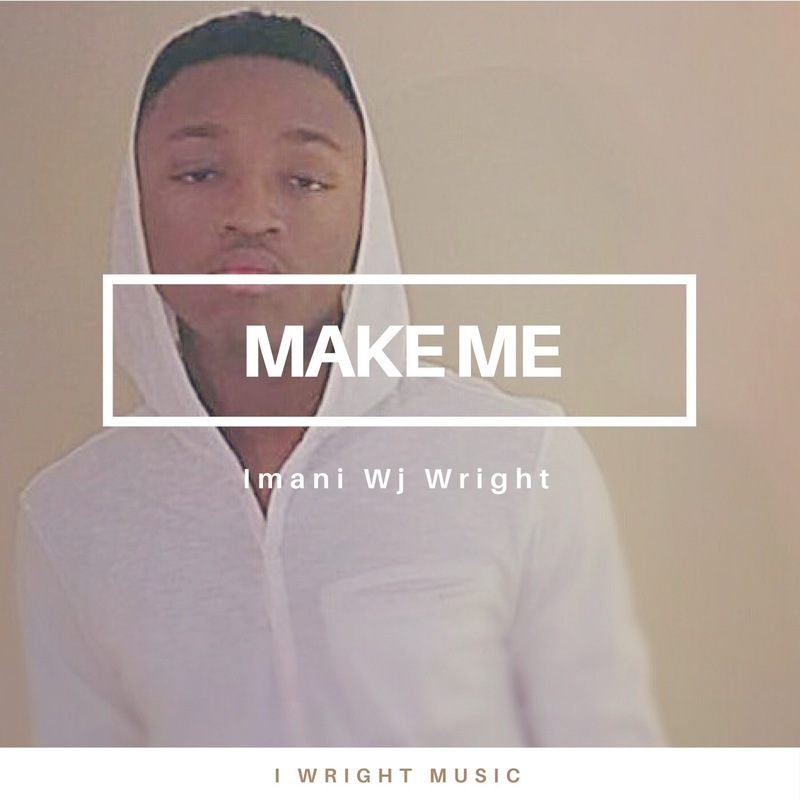 Now his other single, “Make Me”, shows a different side to Imani WJ Wright, but still utilizes the same elements within his content and overall execution. This song allows you to get to know the fellow artist a little bit more, and explore what he has to offer as an artist that does it the DIY way. This song offers up more edge and production value. Each measure is well crafted and keeps you listening and adds more character depth to his music and image. This is definitely a great follow-up from the predecessing track. With the great R&B vibe still in the forefront, this song definitely will capture your heart and put some soul into you. It entices you to research more into Imani WJ Wright as an artist and persona. These are some solid tracks for this young man, and we at Artist Reach would like you to check them out. It’s not often that we Review an artist on-the-spot or happen upon them, but this seemed like the right occasion. Hailing from NYC, we have more proof that some of the most talented, unique, dynamic, and versatile music comes from this city. And with Brooklyn/Harlem group The Saturators, we get the perfect example of just that kind of proof completely. 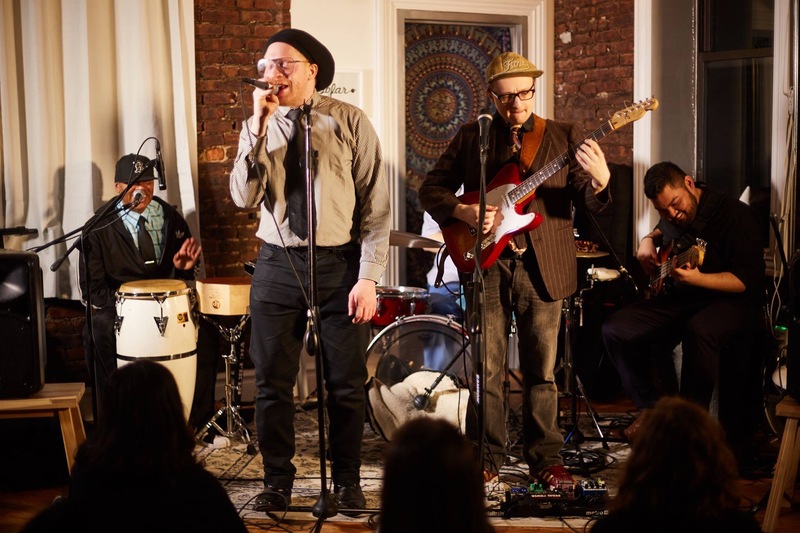 The Saturators are a Brooklyn/Harlem-based dance band that molds an astounding amount of genres to produce their own authentic and wholly unique sound. Dubbed “wet music,” The Saturators pull on Harlem’s vibrant hip-hop scene and Brooklyn’s underground basement parties and mixes it with tastes of Dancehall, Sosa, Cumbia, and 70’s funk to create their danceable and upbeat tunes that are guaranteed to get bodies moving on the floor. And this is no lie. With their song “Not For You” (live -in-studio version), the song is not only dynamic and swingin’, but also gives you a video visual of the band’s live-show persona. They’re fun, witty, and are extremely on-point with precision and rehearsal. The group’s Bassist & Musical Director, Aiman Radzi, really puts the pieces together with this song, and the rhythm section especially with his uptempo and smooth bass lines that parallel’s perfectly with the drums & percussion, as the rest of the band ties in perfectly with each additive to the chemistry. As a director, Radzi really shines with the music’s direction, performance, and overall defining factors that make The Saturators the explosively dynamic sound that they are. Each set of measures offers up interesting and very diversely well-written twists and turns, all while solidifying a sound that is recognizable, admirable, and with a unique signature. No matter what elements are placed in their song, you can still tell that it’s coming from the same band. Ranging from funk, afrobeat, jazz, swing, and just about anything that can force you to the dance floor. The likability factor for this band is ridiculously high, and I dare you to try and find a flaw with this group’s performance and Songwriting techniques. Cause you won’t find one. These guys are a complete treat for the ears, soul, and the sway of the hips. The lyrical narratives and fun-loving harmonies will also definitely draw you in to this song. It’s a strong, charismatic anthem for the soul, and a bit of rock and roll in their energized approach. The song is compelling, crafty, and extremely addictive. The band has a new album in the works, appropriately dubbed Wet Music, which is due out this month. We at Artist Reach highly recommend you check out the song, and pick up their record when it releases. You won’t go wrong at all.